The Packers finally unleashed Aaron Jones in Week 10, and he did not disappoint. 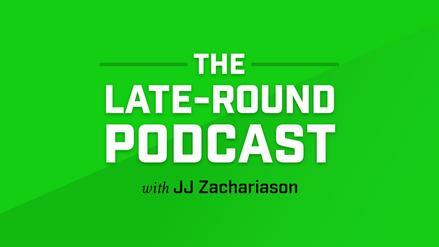 What else should we be taking away from this week's backfield snaps and usage? Another NFL Week in the books, and the season keeps flying by. Fantasy owners are looking at roughly three more weeks to make their move into the playoffs. This far into the season now, teams have defined player roles. 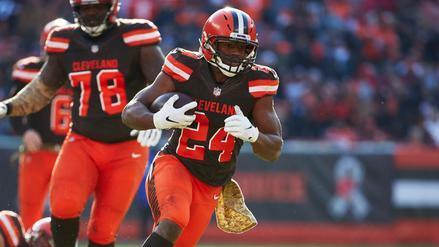 We continue to see younger players (Nick Chubb, Kerryon Johnson, and Aaron Jones) get their opportunities to shine as teams come to identify their best players. For Week 10, there were a few changes made to the data tables. We removed all teams who had byes (Baltimore Ravens, Houston Texans, Denver Broncos and Minnesota Vikings), and the Cincinnati Bengals' backfield was added back with the return of Giovani Bernard. This weekly piece is here to help fantasy owners understand how coaches are using their backs in terms of volume and high leverage situations. The data only breakdowns the backfields that do not heavily favor one back as a bell-cow. Let's dive into the Week 10 data, and, as always, snap counts and red zone data come from Pro Football Reference. The table below is sorted by total season touches for each backfield. For weeks in a row now, the Cleveland Browns have now shown that they are not afraid to let Chubb handle an absurd amount of volume. It has increased more in the two games since Hue Jackson and Todd Haley were fired, too. Since then, he has handled 23 touches and has scored at least 1 touchdown in each game. Week 10 brought a surprise expansion to Chubb's role as he ran more pass routes than Duke Johnson for the first time all year. While he was still out-targeted, if Chubb's pass game involvement continues to increase his workload could be special week in and week out. Over the last four weeks, Chubb has been the RB7 in PPR scoring and continues to look like an absolute fantasy league winner. 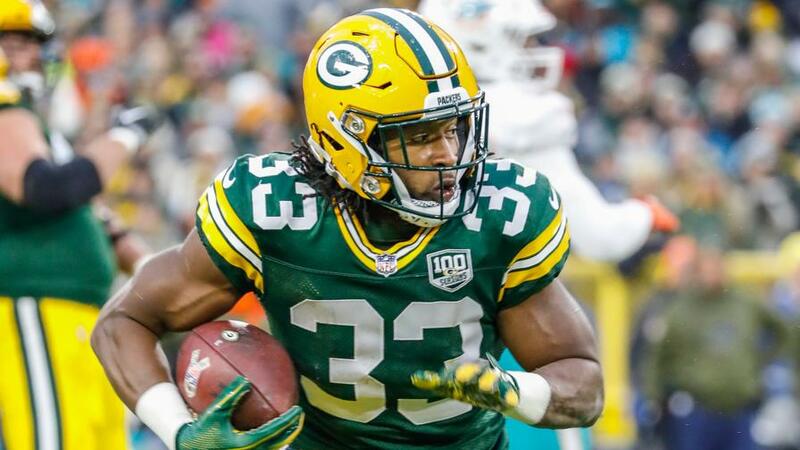 Over the past few weeks, Aaron Jones has flashed signs that he was clearly ahead of teammate Jamaal Williams, but the Green Bay Packers were not ready to fully commit to him for some reason. That all changed in Week 10 against the Miami Dolphins as Jones out-touched Williams 18 to 3 and out-snapped him 42 to 14. Jones averaged an absurd 9.6 yards per touch and cashed in with two touchdowns. Aaron Rodgers came out on Tuesday and said that Jones just needs to be given more opportunities. With the support of the franchise player, and the first true commitment from the coaches in terms of workload, Jones' outlook for the rest of the season is trending upward. Week 10 brought us the first game in which Leonard Fournette was able to start and finish the contest healthy. With the Jacksonville Jaguars trading for Carlos Hyde while Fournette was injured, there was some uncertainty as to how the backfield would shake out upon his return. Fournette handled 72.5% touches and 100% of the red zone opportunities for the Jaguars' backfield. One of the more impressive aspects of his Week 10 workload was the fact that he saw five targets, which ties his second-highest single-game total in his career. It seems as Hyde was just insurance, and now that Fournette appears healthy, look for him to continue to handle the bulk of the load moving forward. Throughout the majority of the season, the Los Angeles Chargers had been getting Austin Ekeler involved as a nice change-of-pace back to Melvin Gordon. We have since seen a change in philosophy over the last two weeks. Gordon has handled 85.1% of the backfield touches in the last two games, out-touching Ekeler 40 to 7. Ekeler has only been on the field for 29 snaps over that span, while Gordon has played 90. The Chargers are making their push for the playoffs, and they seem to have decided that having Gordon on the field is important. Gordon continues to excel in the pass game; he has yet to see fewer than four targets in a game this season. He will look to continue this momentum in a great Week 11 matchup against the Denver Broncos. Nothing was better for Matt Breida and his fantasy value than a blow up in an island game for everyone to see. 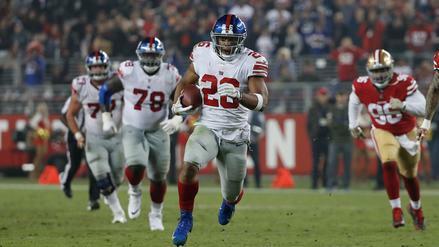 With the loss of Raheem Mostert and the continual decline of Alfred Morris, Kyle Shanahan let Breida loose Monday against the New York Giants. Breida saw 20 touches for the first time in his career and did not disappoint, totaling 130-plus yards and two touchdowns. Breida looked to be fully healthy for the first time in a while and just carved up the brutal Giants defense. His only competition for touches, Morris, has now played fewer than 20% of the San Francisco 49ers' offensive snaps in each of the last three games. Breida looks poised to continue to take on a larger workload going forward as the Niners look to go younger over older.